STEAM is a cross-disciplinary framework for teaching real-world problem solving – it fosters connection and intersection of subjects, with Art and Design as an equal player. It is also becoming more widely adopted in education initiatives and schools locally and nationally, as it is customizable and adaptive to curricula. Art education teaches the flexible thinking and risk taking that are needed in today’s complex and dynamic world. 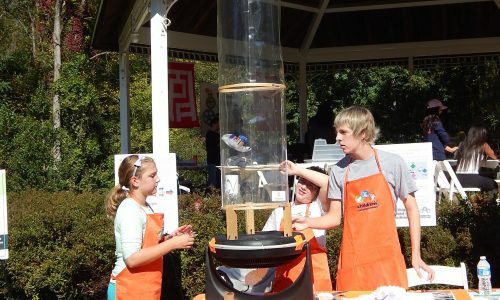 Integrating Art + Design into STEM education promotes critical thinking, a key 21st Century skill. “With global competition rising, America is at a critical juncture in defining its economic future. I believe that art and design are poised to transform our economy in the 21st century in the same way that science and technology did in the last century, and the STEAM movement is an opportunity for America to sustain its role as innovator of the world.” – John Maeda, STEM to STEAM: Art in K-12 Is Key to Building a Strong Economy (October 2012). “No matter what your child will grow up to be; a scientist, artist, lawyer, architect, auto engineer, technician, or a politician, each job will demand an ability to be creative, problem solve, think critically and work well with others. STEAM provides the foundation for career readiness, and students benefit from an education that is matched with the needs for our future.” – Merryl Goldberg, Professor, Visual and Performing Arts, California State University San Marcos; Executive Director, Center ARTES. STEAMConnect is a grassroots organization based in San Diego that convenes the education community, nonprofits, industry and policymakers and provides STEAM resources and best practices to further the STEM and STEAM movements across the U.S.
Americans for the Arts is partnering with Congressional leaders, the private sector, educators, and researchers to make visible the amazing work happening around the country in STEAM education. On May 7, 2015, Americans for the Arts attended a STEAM Assembly hosted by VH1 Save the Music. 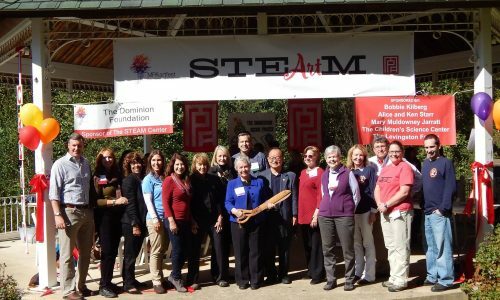 IBM sponsored the STEAM Carnival, providing opportunities for communities of engineers, entrepreneurs, and creatives to participate in the STEAM initiative. The Wolf Trap Foundation for the Performing Arts has integrated a dynamic arts approach into STEM learning with positive effects on students, teachers, and classroom participation. ZERO1, a Silicon Valley based arts organization that works with some of the most fertile and creative minds from the worlds of art, science, design, architecture, and technology, produces the ZERO1 Biennial, an international showcase of work at the nexus of art and technology. The company also offers a fellowship program where principles of artistic creativity are applied to real world innovation challenges.